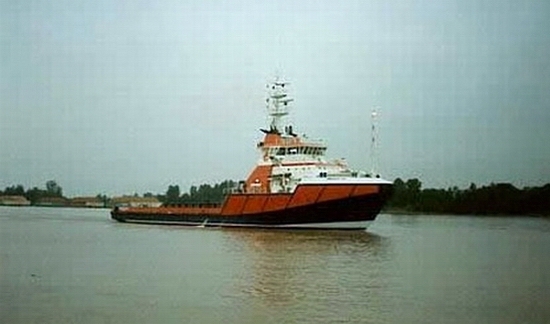 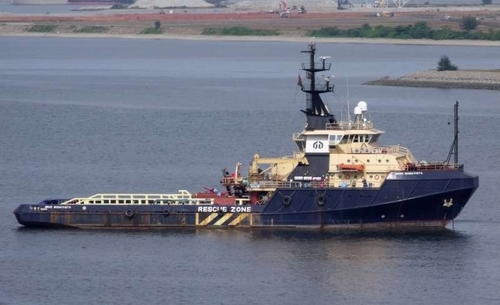 The above vessel was built in Richmond BC Canada at the "Vito Steel Boat and Barge Construction" shipyard in 1982, for the Husky Oil Company. 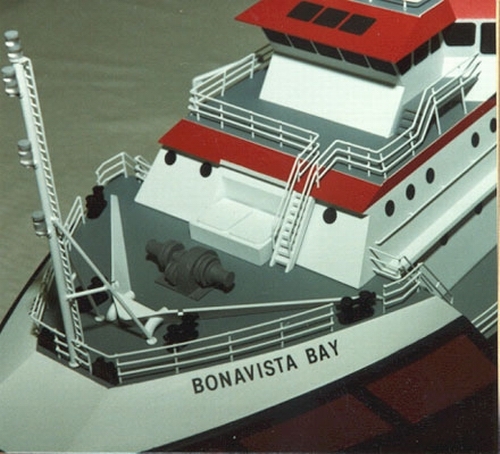 We were commissioned to build a 1:100 scale model of the "Bonavista Bay" (shown left). 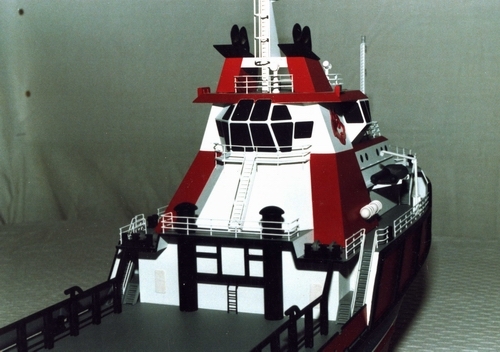 As our company was also based in Richmond BC, at that time, we followed it's progress all through it's outfitting stage, at Vito's yard, through to it's completion. 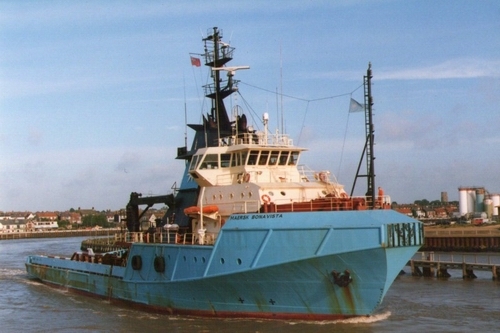 In 1987 it was sold to the Maersk Organization and renamed the "Maersk Bonavista" shown above. 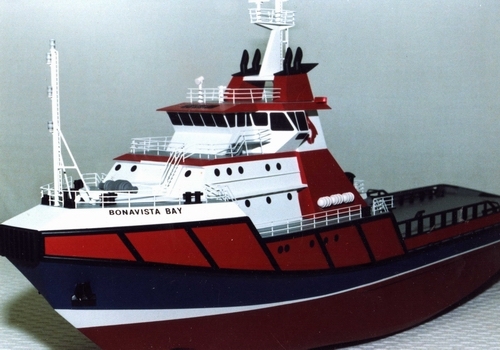 2007, it was resold, and renamed, the "Drive Bonavista" and registered under the Bahamas Flag.